On a long road trip, assembling a Traditional Soft-shell rooftop rents can be a tedious job. In order to avoid such hassle on the trip, iKamper unveiled a X-cover, a cover-less blend of soft-shell and hard shell rooftop tents that makes the assembling and installing a rooftop tents quite easier. Quite easy to install probably on the most of the vehicles, the rooftop tent can accommodate 3-4 person easily. Having 5 windows including one sky view opening, the water proof material of the tent pledges to give a wonderful experience to all wanderlust out there. At the time of assembling the X-cover, one need to just unzip the soft-shell’s protective layer and attach detachable ladder to the top hard shell. 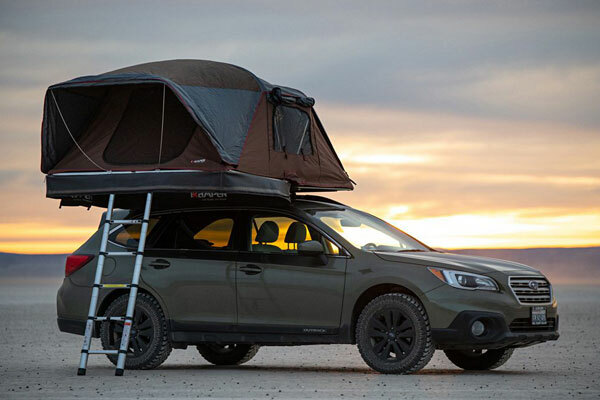 Weighing around 103 pounds, the rooftop tent mounts 10-inches tall. After raising over $2 million in Kickstarter funds in 2017, iKamper is celebrating by offering steep early-bird and pre-order discounts on the X-Cover.